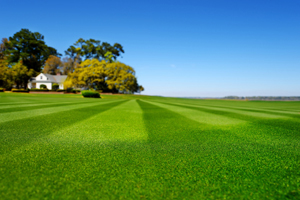 At TurfPride Incorporated, we want the people of Atlanta to have the lawns and landscaping of their dreams. You might not lie awake at night thinking about what you want your lawn to look like but if you do, we understand that and want to help you out. Here are 5 things that you should know about us that we believe make us your best choice for lawn care in Atlanta, GA.
We have been in Atlanta for over 15 years. What that means for you is that you get to work with a company with a quality reputation in the local area. Soil and landscaping needs are going to require very different care based on your local climate, and we understand that better than most. We take pride in the fact that we collaborate with several local, state, and national organizations that are all committed to helping people across the country, and in Atlanta specifically, get the results they want from their professional lawn care. We provide specialized service to our customers through custom lawn programs. Your lawn is not going to be just like your next door neighbor’s lawn in terms of topography, soil composition, and other factors. Your preferences are going to clearly be different from any of your neighbor’s, so coming up with a custom plan that works for you is essential and we can help you with that. When you work with us, we are confident you will be happy with the job that we do. However, if for any reason you are unsatisfied with the job we did, let us know and we will come and do what it takes to make you happy. We are happy to guarantee our work. In whatever industry you are working in, we believe that ongoing education and training is crucial. We want to ensure that you are always happy with the job that we do and can ensure quality work because all of our staff goes through ongoing training and certifications to keep our expertise up to date and fresh.